Word Guru Answers for level 236. So lets get back to Word Guru level 236. First try to solve it yourself, but if you get stuck and need help here you will find all the correct answers. It wasn’t that hard was it? Well if you are done its time to move to Word Guru level 237. 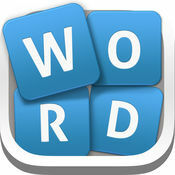 Word Guru is the hottest word game in App Store and I encourage you to at least give it a try. Having problems with Word Guru level 236 answers? Let us know what the problem is at our contact page.